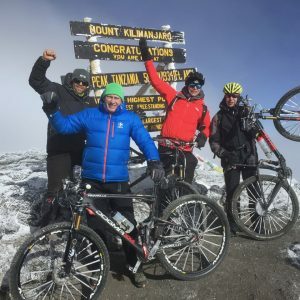 An inspiring 540 km guided mountain biking adventure, crossing the Andean mountain range at two different locations including a breath-taking century ride. Riding through lush Patagonian forest and across the dry Patagonian steppe, this landscape of ancient forest, towering volcanoes, crystalline lakes and quaint towns makes a perfect backdrop for an incredible mountain bike traverse. A guided 540 km biking adventure expedition crossing the Andean Mountain Range at two different locations including a breathtaking century ride. You will explore quaint towns of the seven lakes district, full of delicious eateries and cozy hotels. This expedition will challenge you at times as well as surprise you with cuisine and cultural experiences unique to this special part of the world. The majority of the expedition is on dirt roads and jeep track with minor sections of paved roads. You will ride in lush forests, by turquoise lakes, among snow-covered volcanoes and along rushing rivers on the Patagonian Steppe. 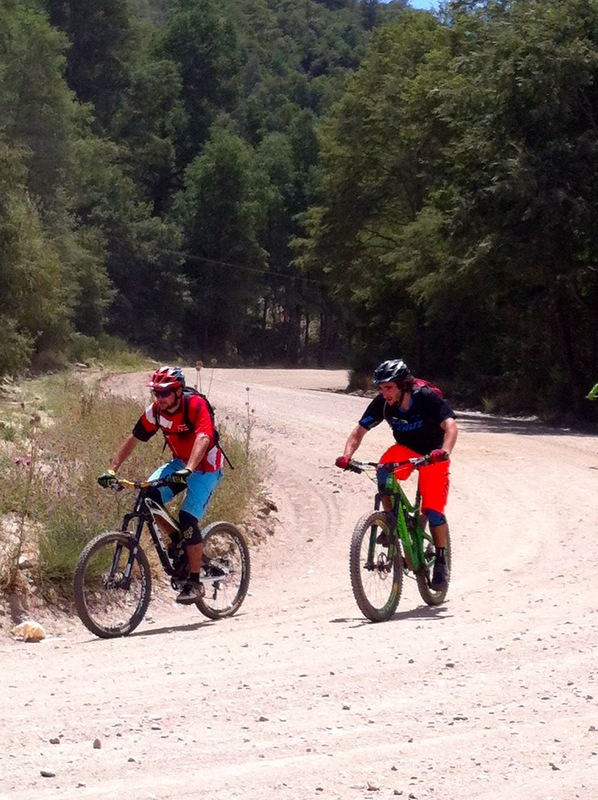 Carve some of the world-class single track that attracts riders to events such as the Trans Andes mountain bike race as you ride some of the best Argentina and Chile has to offer. Patagonia, a vast desolate and wild region that forms the southern-most tip of the South American continent. Curling eastward, like an extended claw of a cougar, it has beckoned adventurers for centuries to come and explore a land that is beautifully barren, wild and brimming with emptiness. This frontier-region; carved out over centuries by wind, water and the scraping hands of time, extending south-eastward from the Andes, holds a desolation not to be endured by the traveller but rather to be filled with adventures. Patagonia is more than a place. It is an experience that will shape you and serve as a magnetic north, a plumb-line, for all of life’s other adventures. Following arrival and settling in the beautiful town of Bariloche, we prepare our bikes and gear for the expedition. After a detailed trip and safety briefing we explore the city and enjoy a welcome dinner at a local “parrilla”. Taking a gondola up Mt. Otto, we take in the gigantic lake Nahuel Huapi and the mountains that surround Bariloche. From here we descend and continue on the coastal road to the Llaollao Resort and Port Pañuelo where we portage on a one-hour boat ride across the huge lake to Arrayanes National Park, named after the ancient myrtle wood forest it protects. 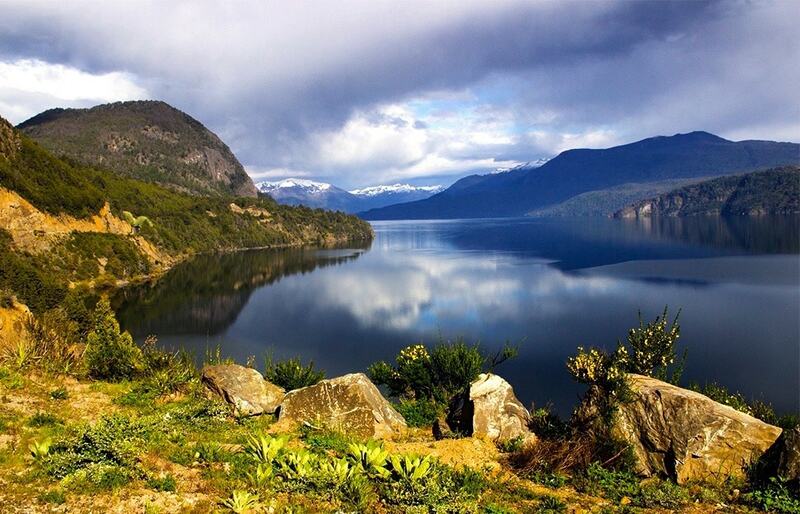 Twelve beautiful kilometers along a hiking trail takes us to Villa la Angostura. From here we transfer one and a half hours along the famous Seven Lakes Road to a campground on Lake Hermoso where we spend the night. After a lakeside breakfast, we ride from the campground along the last section of the Seven lakes road for 30km with great views of San Martin de los Andes ahead. We turn off the main road onto a dirt road, taking us into the heart of the forest to Hidden Lake. From here we descend back to Quilaquina, a small Mapuche indian village where we board the boat to San Martin de los Andes. After some exploring, we transfer to a river-side campground run by the Mapuche tribe. We leave camp on a well maintained gravel road through the grasslands of the Patagonian Steppe. A land of big sweeping scenery, guanacos, and isolated ranches nestled in the immensity of this rolling countryside. We descend into the Alumine river valley from where we bike upriver on a gently climbing road bordered by trees and the river. We finish at our third and last campground on the shores of the Pumari River. Today’s ride along the Pumari River, takes us past stunning mountain lakes, a refreshing waterfall and through a canyon of rock formations. 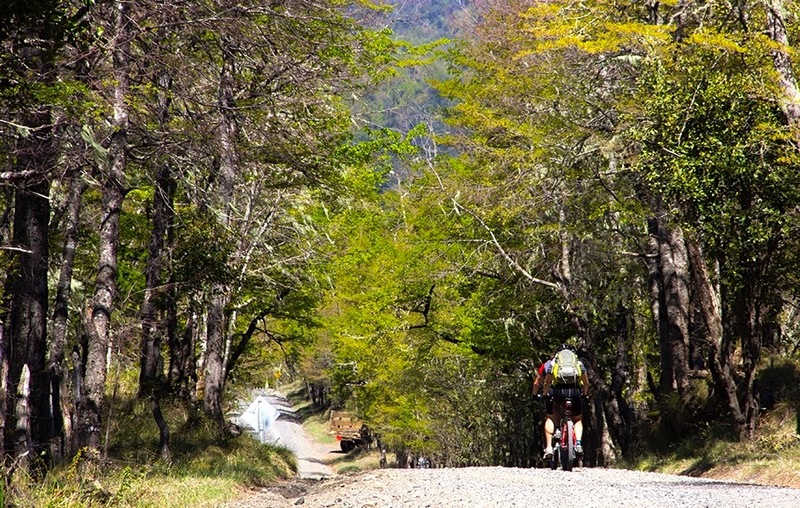 We bike where the steppe transitions back to the green forests of the Araucaria region, named for the very peculiar Monkey Puzzle trees that dominate the scenery. The riding is on a gravel road that progressively climbs and leads to charming Villa Pehuenia on the shores of Lake Alumine. Today we cross the Andes from Argentina to Chile. We head out of town for seven kilometers before dropping into the Icalma Valley in Chile. After concluding border formalities we continue 12 km on a gravel road through the lush forest before diving down into the Huichapan Valley, six hundred meters below. The views are as sensational as the riding. We pass a lava field which flowed off the Llaima Volcano into the valley and finish our days riding in Melipeuco. From here we transfer to Pucon, Chile’s premiere adventure tourism town. Situated at the base of the Villarrica Volcano and on the shores of the similarly named lake, Pucon is the perfect place for a well deserved rest day. Choose to relax, raft, horseback ride, canopy tour, soak in hot springs or, for those who want to keep riding, do some downhill riding on the volcano. Additional activities are for your own account. We set off to a gravel road crossing a ridge between the two big volcanoes in the area. Towards the top of the 40 km / 1000m climb the road narrows into a trail with some steep challenging sections that we might have to hike-a-bike at times. The well deserved descend takes us on a gravel road through the forest. We arrive in the town of Coñaripe where we can take a break at the lake before riding another 17km ascend to Pellaifa. We celebrate our hard work with a night at a hot spring resort. Our riding today is on a scenic gravel road with several ascends along the way. We arrive at the Magic Mountain Hotel with free time to enjoy the afternoon. Our exceptional lodging here combines the joy of a tree house with the luxuries of a fine mountain resort. 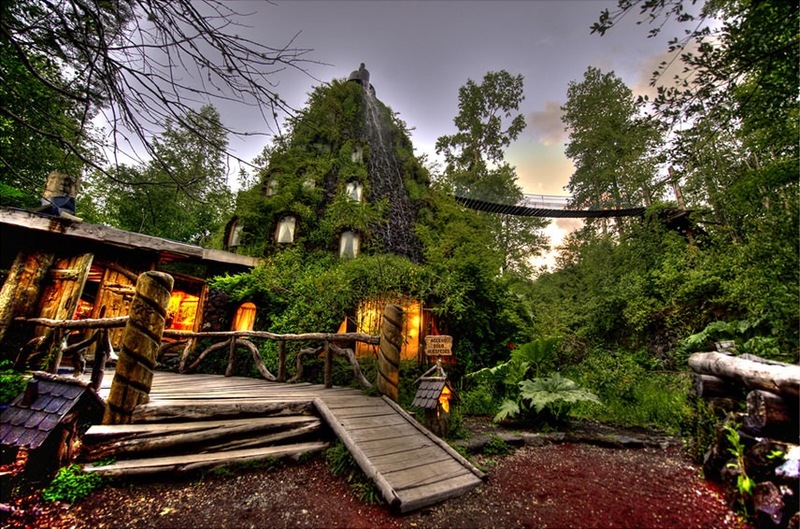 The hotel, based in the Huilo-huilo Reserve forms part of the well known Trans Andes Challenge route. 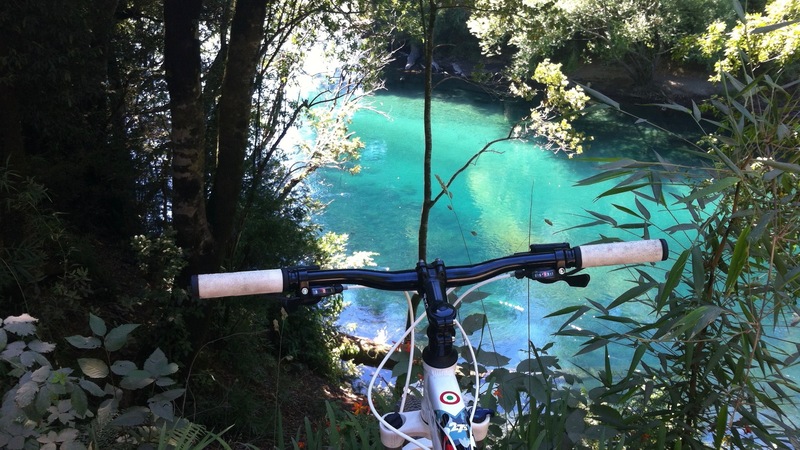 Today we enjoy the trails of the Huilo-huilo Reserve on single track that twists and turns in the dense forest. At midday we load the support vehicle and take a memorable 2 hour ferry ride across Pirihueico Lake. Once on shore we get on our bikes for the last time to conclude our expedition’s riding. We pass both the Chilean and then the Argentine border stations before riding 40km on a gravel road through the forest and along Lacar Lake, back to the picture perfect San Martin de los Andes. The ideal place for a celebration. Today we transfer back to beautiful San Carlos Bariloche along the Seven Lakes road. We head for the airport, with this beautiful place and our incredible adventure etched in our memories.